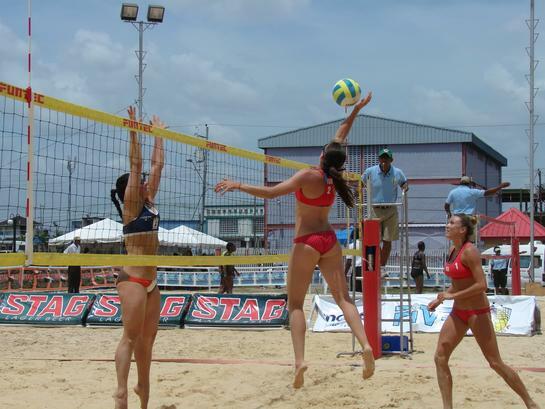 PORT OF SPAIN , Trinidad , May 27, 2007.- Ania Ruiz and Yamileska Yantin, the duo of Puerto Rico-1 was crowned as queens of the fourth and final leg of the North, Central American and Caribbean Continental Beach Volleyball Tour �Spike Down. 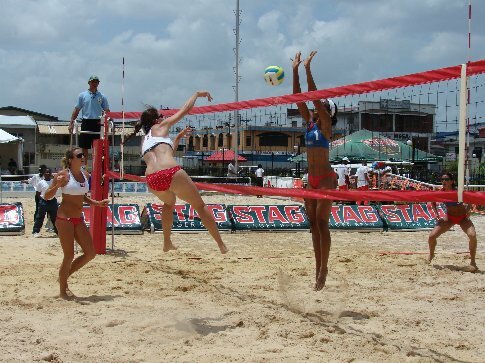 Ruiz-Yantin edged Cubans Ion Canet and Kirenia Bell in three sensational sets by scores of 21-18, 18-21, 18-16. 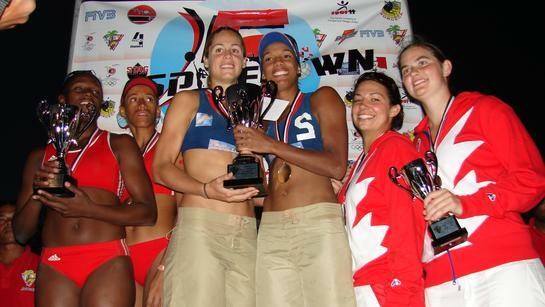 PORT OF SPAIN , Trinidad , May 26, 2007.- Canadians Mila Miguel and Asia Danilova needed two three-sets victories to advance to the semi finals of the North, Central American and Caribbean Continental Beach Volleyball Tour �Spike Down at Saith Park, Chaguitas. 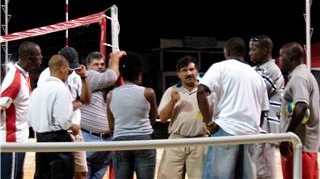 PORT OF SPAIN, Trinidad, May 26, 2007.- The local pair of Pauline Woodroffe and Elki Phillip made a promising start to the 2007 North, Central America and the Caribbean (NORCECA) Continental Beach Volleyball Tour-Spike Down with a win over their Barbadian rivals at the Saith Park, Chaguanas, yesterday.